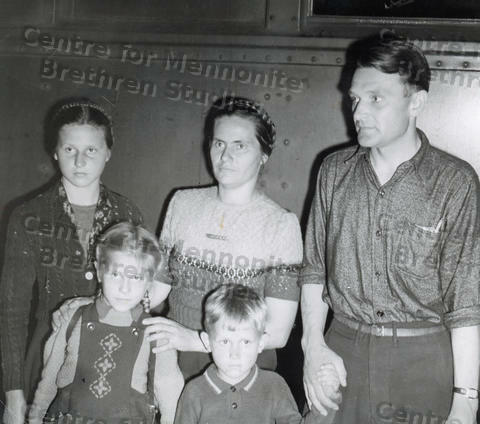 This photo is of an unidentified family. The photo is of a mother, father, and three children - two girls and one boy. The children appear to range in age from about 5 to 12.